Eton Institute is a leading training and development center not only in Dubai but all over United Arab Emirates. More than 100 languages are offered at Eton Institute. Timings of the institute are very flexible; student can easily take a n admission polish their skills. The trainers teach their students from the scratch so that they can easily communicate and interact in a corporate environment. Eton Institute offers two kinds of training, onsite and in house, but their actual motive is to provide every possible solution to each individual admitted in their institute. 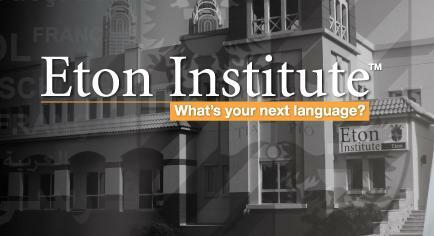 Eton Institute is responsible for organizing classes for language training. This leading training and development center also arranges teacher training sessions. Besides language training computer and corporate training is also organized along with the knowledge of Phrasebooks and PhraesApps. From Monday till Thursday Eton Institute remains open between 8:00 am and 9:00 pm. Friday timings are 10:00 am till 6:00 pm. On Saturday students are requested to come between 9:00 am and 6:00 pm. On Sunday Eton Institute operates between 8:00 am till 9:00 pm. 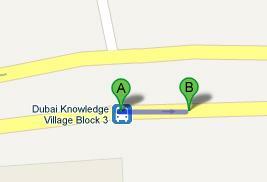 Dubai Knowledge Village Block 3 bus stop is just next to Eton Institute. The routes that make a stop at this station are 83 from Ghubaiba Bus Station 2 and 85 from Dubai Internet City, MS Seaside. After getting of the bus you will be able to see Eton Institute in the east direction. For a detail view of the pedestrian path Click Here!